Inverclyde Council has granted permission for a £6m refurbishment and extension to St Mary’s Primary School in Greenock, rebuilding it internally complete with new windows and a re-slated roof. 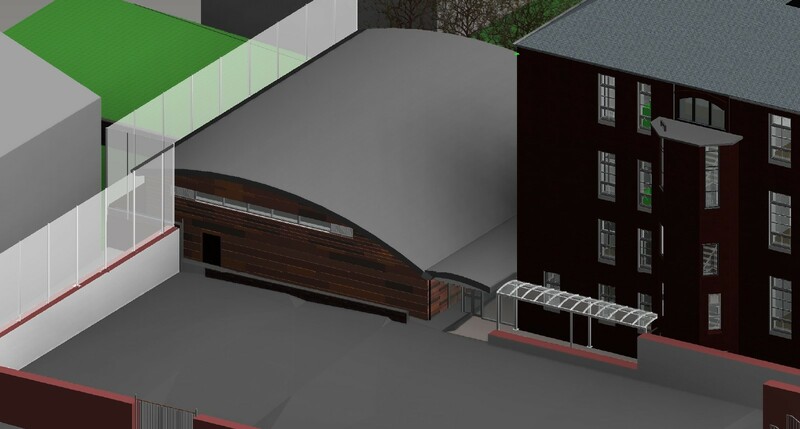 The in-house design will see a multi-purpose gym and assembly building constructed to improve the range of facilities on offer, together with a redesigned entrance space. Councillor Jim Clocherty, commented: “The St Mary’s school building has been a feature of Greenock town centre for many years. This work will see existing chimneys removed and stonework repaired as well as formation of ramp access to Patrick Street and a covered walkway. 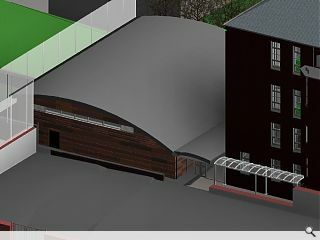 What a shame...ok it's a tucked away little Gym extension but the kids surely deserve to get a more inspiring design. I wonder what the rest of the in-house design is like. Even for a prison, this looks terrible... How high is that fence? what are they trying to keep out or in?